It’s been three weeks and we are almost towards the end of our Global Consulting Project (GCP). 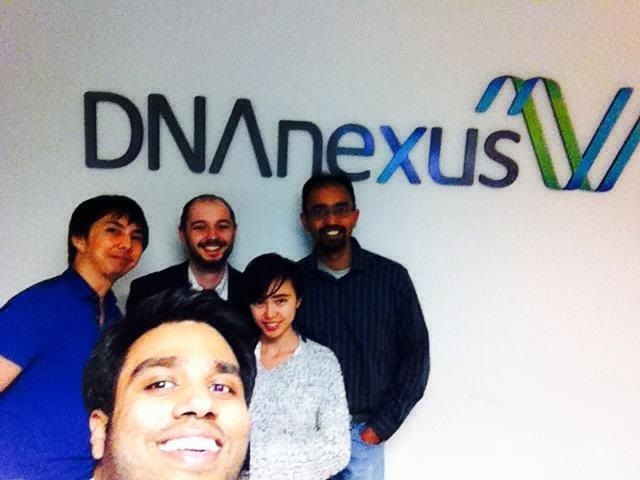 Our trials and tribulations have somehow brought us closer together as a team of five MBAs travelling from Cambridge to Silicon Valley, to facilitate an innovative company redefining a product which is making waves in the genomics world. The human genome project was one of the profound moments in the field of science in the recent decades and has opened up an entire array of genomic research for various disease areas such as Cancer. Consequently, molecular methods such as next generation sequencing (NGS), have been used for the identification of genetic markers associated with disease predication and progression. With new sequencing techniques, unmet needs around massive petabyte storage space and data mining challenges have surfaced that thoroughly reduce the throughput time for scientists to come up with new therapies. And this is where our client took up the challenge and came up with an innovative offering of unlimited data mining and storage services to the genomics world. Our project so far has been extremely exciting. We are working with some of the best data scientists, post docs and senior executives in the valley. Aside from this, we never expected that working as a part of a diverse team would bring out different dimensions of our personalities. We constantly challenge ourselves and try to push our capabilities to get the best out of the team as a whole. We will be giving our final board presentation within a week’s time and we are super excited to provide our recommendations for this exciting California-based tech company. Week three was a short week with Good Friday off. We started off with a focus group with the Merck team in Germany which brought out some new areas to explore within the concept. Later in the week, we focused on refining the concept chosen from the last status update, extensive study of market landscape around this idea and laying down potential next steps to bring this concept into practice. Refinement involved defining core, localised, digital content and consumer engaging elements of the concept. We extensively studied the market landscape, researched and thought deeper on three options: in-house capability development, potential partnerships and acquisitions to implement the concept. Before presenting a detailed review in the weekly update. While the remote Merck stakeholders from Barcelona were satisfied with our progress, the local Merck team expected us to go still deeper. Of course, we had further ideas saved for the final presentation next Thursday. Ahead of this, we spent some more time exploring areas suggested by the local team before going for a refreshing break over the Easter weekend to begin next week with renewed energy. The past two weeks were very important for the Iberdrola Team. We continued to develop our understanding of the Corporate Venture Capital (CVC) industry and also started to work in our client´s Madrid office. Although the primary scope of the project involves CVCs in the energy industry, the team has expanded our research to others sources of information. The team spoke with professionals from Venture Capitals funds with many years experience and a solid track record. Their opinions about the CVC industry, the importance of permanent involvement with the nascent companies and the ability to build a good network of contacts among the entrepreneurship community are important insights that have contributed to a better understanding of the key drivers of the industry. Starting work within the Iberdrola offices has been an important stage- giving us a boost in productivity as well as presenting challenges. 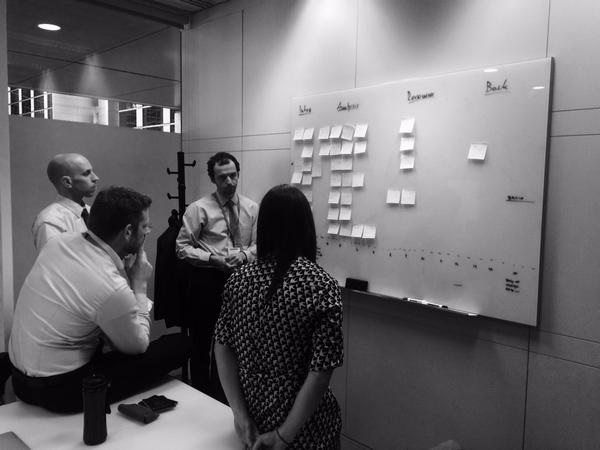 With daily face-to-face communication, the team has had the opportunity to understand the strategic fit between the CVC unit and the core business of Iberdrola. In the coming week, the team will continue to conduct more interviews and analyse publications covering the industry. The team is hopeful that the analysis will lead to conclusions by the end of the week. At the same time, we continue to enjoy the beautiful city of Madrid as well as the wine, tapas, arts and culture.